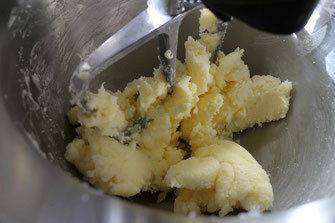 First beat the butter and sugar/vanilla sugar till they are well combined and a smooth mixture. 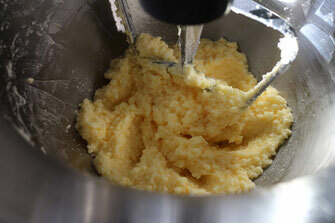 Next you add the eggs and vanilla extract and beat the mixutre again till combined completele. 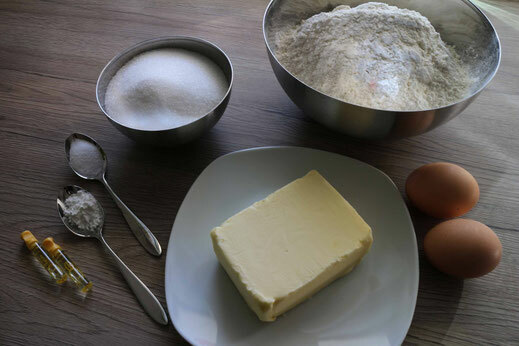 Last add the flour and baking powder. 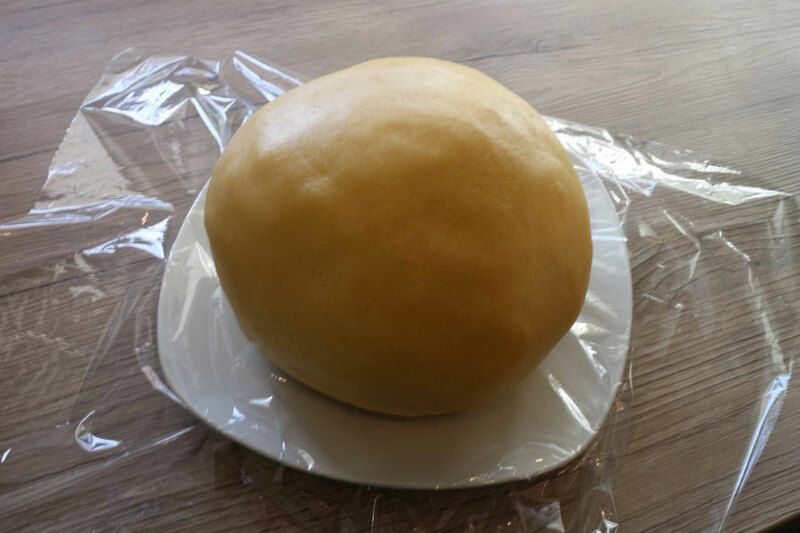 Form a ball out of the dough, wrap it with plastic wrap and store it in the fridge. 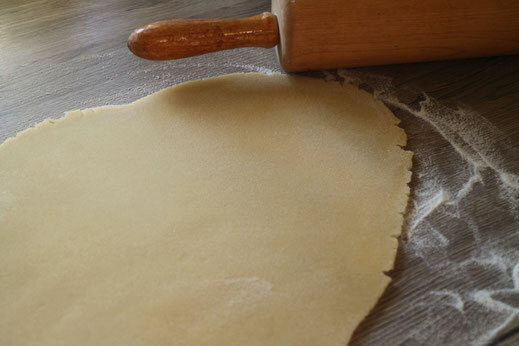 After a few hours you take the dough out of the fridge and cut it into 2cm thick pieces. 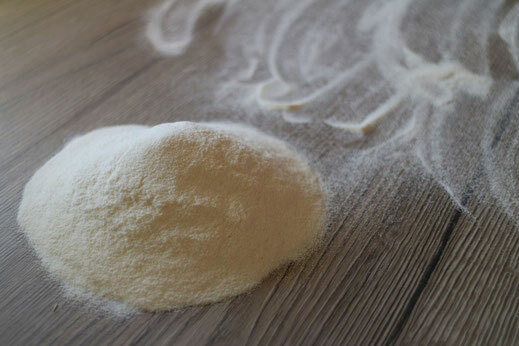 Put some flour on the table and rolling pin to roll out the dough into a 3-5mm thick sheet. Now you can start cutting out the cookies. 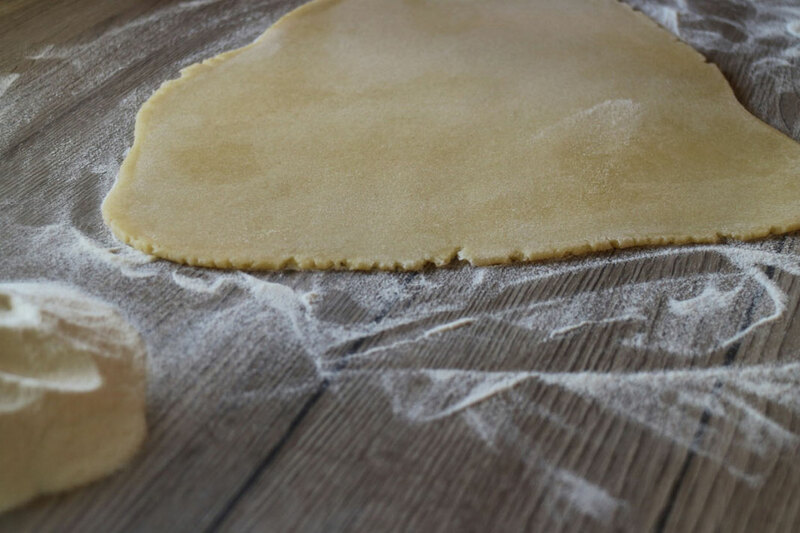 If you don't want to use additional flour or you have a complicate shaped cookie cutter you can also roll the dough between two sheets of plastic wrap and put it for 5 min into the freezer. Afterwards you have to peel of carefully the plastic wrap. 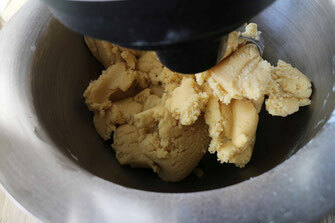 Now the frozen dough keeps it's form very good and is not sticking to much while you cut it out. 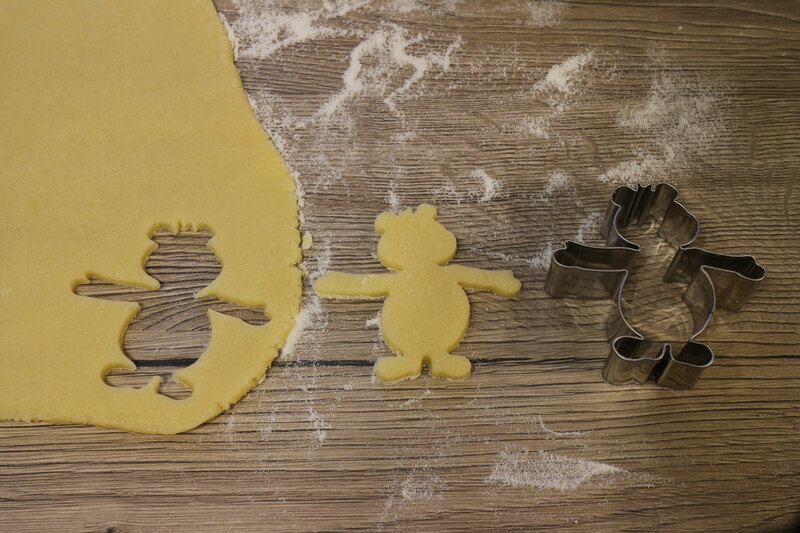 Put the cookies onto a baking pan lined with a backing sheet and bake it for about 10-15 min at 180°C. Depending on your oven you might need less or more time till the cookies brown slightly.